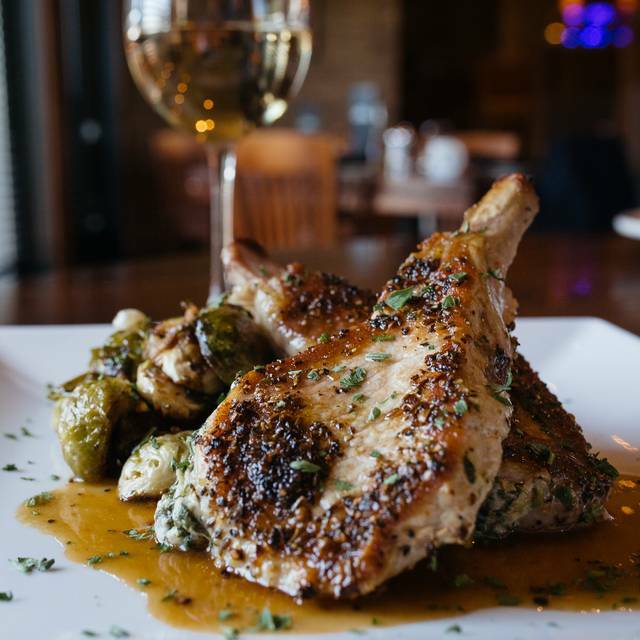 Join us for that special dinner or perfect night out. Experience Johnny's FRESH MENU and wonderful patio during the summer months! Johnny's Italian Steakhouse® West Chester is the exclusive caterer for Centre Park Event and Banquet Center. A Private Events menu is specific to accommodate any event needs with items that can meet a variety of budgets. Plated, buffet, and station options are available. 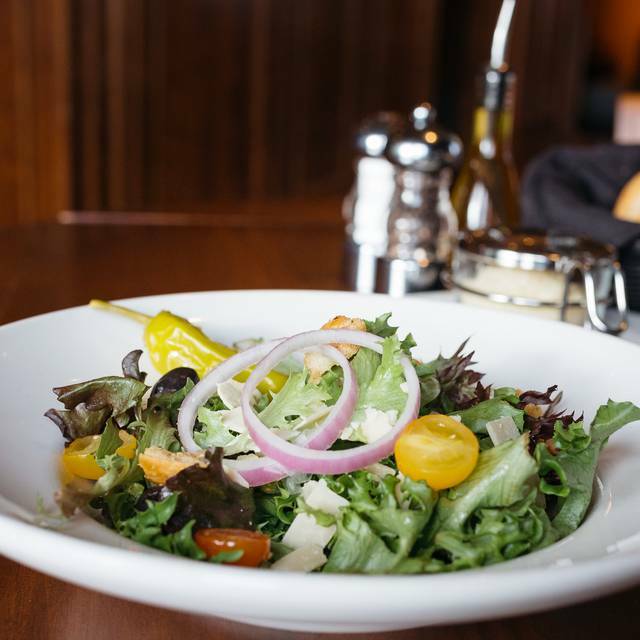 If you are looking to do something back at the office or have some yummy Johnny’s food at home, explore our To Go Menu or consider our Box Lunch options that are available. 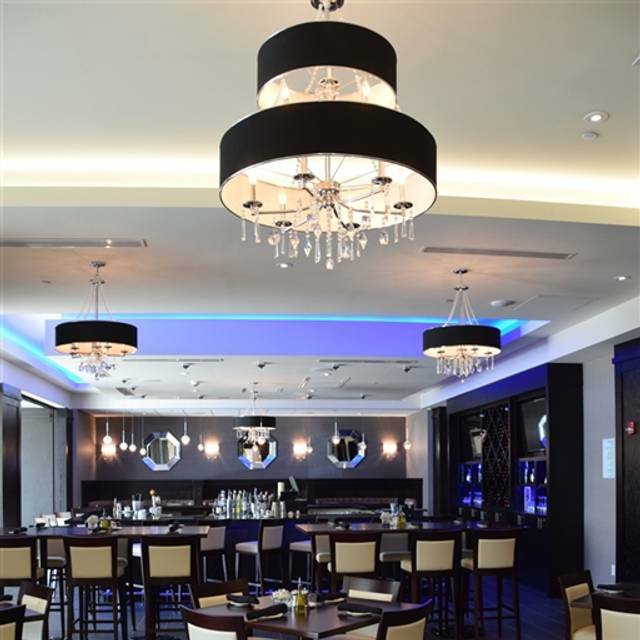 Johnny's Italian Steakhouse® West Chester is connected to the Centre Park Event and Banquet Center as well as the Holiday Inn® Cincinnati-N/West Chester. Options are endless with us. 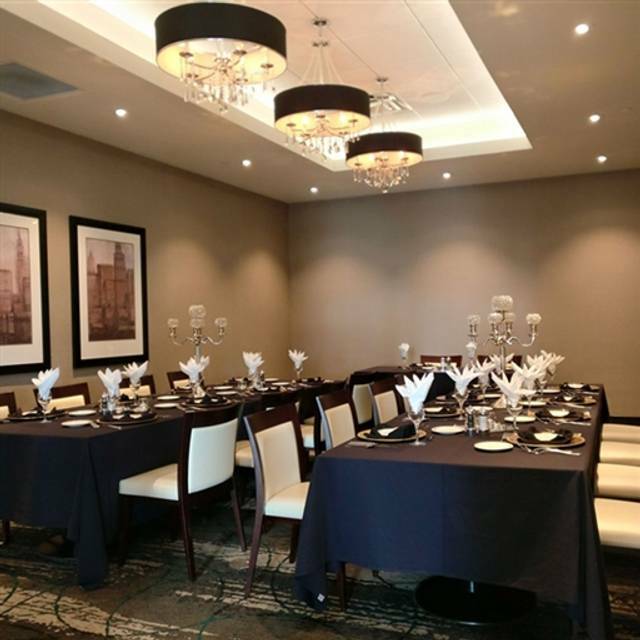 Due to the vast amount of meeting space available, we can accommodate private parties up to 650+ ppl. We have the ability to accommodate large and small groups based on their needs. Additionally, we provide room service to the Holiday Inn®. As a result, you can enjoy a romantic dinner for two in the comfort of your own Suite. 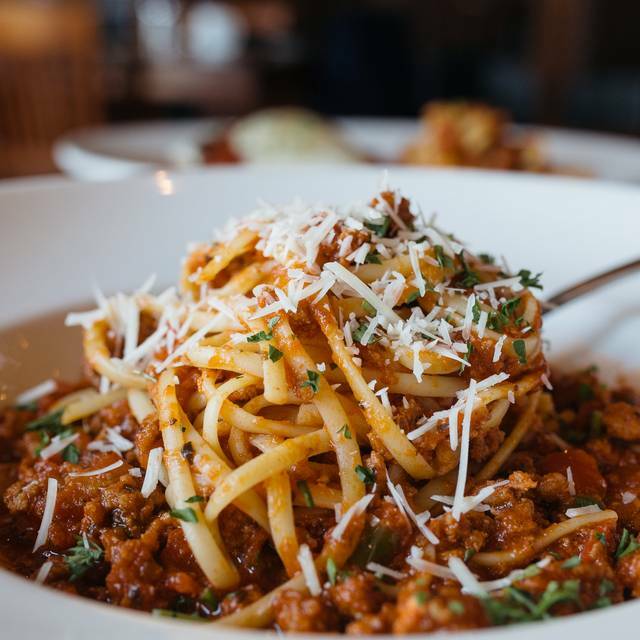 With the flexibility of our facility as a whole, Johnny’s Italian Steakhouse® is able to provide a dining experience to meet the needs of any private party. 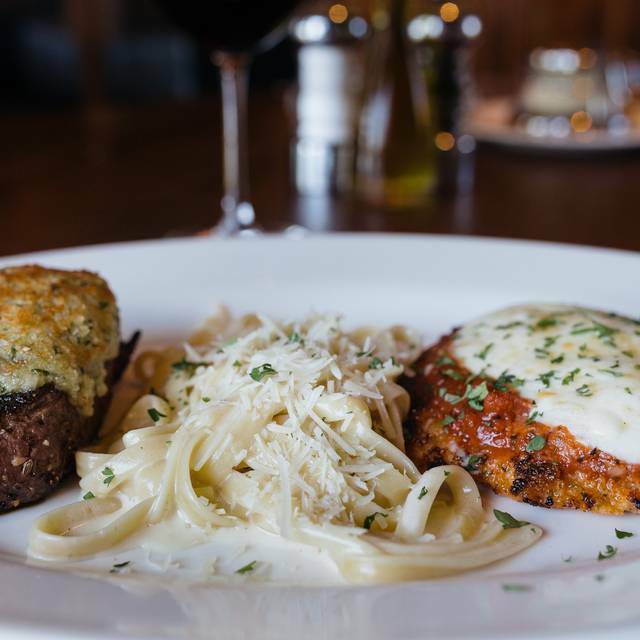 Johnny's Italian Steakhouse® West Chester is the first and only in Ohio. The restaurant concept began in Moline, IL with a few very important elements in mind, great steaks, hot music, hot Italian, and a cool place. 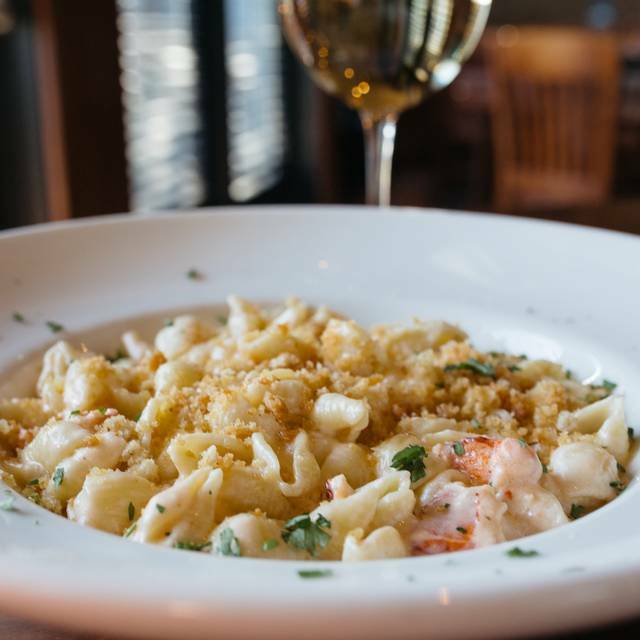 And that is what you will find when you join us at Johnny’s Italian Steakhouse®. 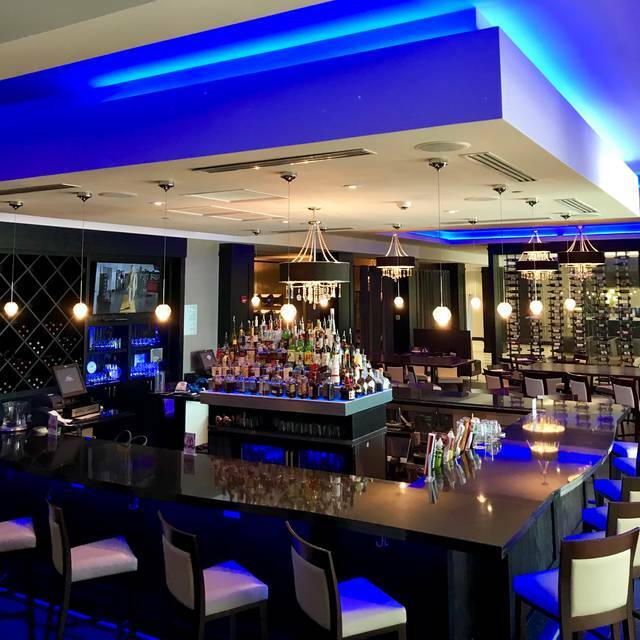 Johnny’s is a steakhouse complimented with a rich Italian background featuring traditional and innovative items and a superior wine list. The classic interior is reminiscent of the supper clubs of yesteryear. The sophisticated design of the restaurant is welcoming and warm; the illuminated lighting creates an air of mystique and privacy. The classic sounds of Sinatra, Dean and Sammy Davis, Jr. as well as contemporary crooners like Michael Bublé and Harry Connick Jr. surround the restaurant and infuse an aura and rhythm all of it’s own. Always amazing food, service and atmosphere! This is a tremendous local gem. Attentive service, outstanding food and good value. Dont be misled that it happens to be in a moderate hotel. It is mainstream priced (not hotel priced) and could stand on it's own anywhere. Plenty of space next to an energetic lounge. Minor criticisms are wine list is not reflective of the great quality here and the music was too low to hear (even with minimal crowd). Excellent food with excellent service made for an enjoyable anniversary dinner. Staff was very attentive without being in our face. Our meal was delicious from the French onion soup to the glorious desserts. Highly recommend their melt in your mouth steaks as well as their seafood selections. One of the best bone-in steaks I have had! I hate to write such a good review because soon it will be so crowded I will have a hard time getting in! Food was spectacular, service was impeccable and we will be back every year! Ask for Steve as your server, he is a true gem! Service was good, waitstaff friendly. Food was average! Salad & bread that came with our entries were outstanding. Husband had a pasta & sausage dish. It was good, flavourful & plentiful. I had a disappointing Lobster Mac ‘n Cheese. Lobster claws were small & watery (probably previously frozen). The sauce was runny! Not worth the price- I sure wouldn’t recommend that dish! Thank you so much for sharing. We love to hear such great feedback. 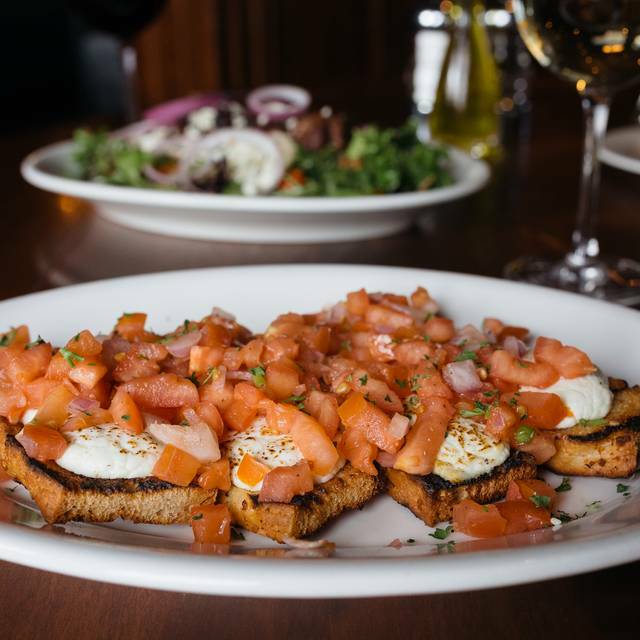 We hope to see you again soon at Johnny’s Italian Steakhouse. Well my food was awesome but, some of my friends was expecting something different with their meals. So that's why I gave the food a 4. This was my first visit and I was celebrating my birthday. I enjoyed the service and decor of the restaurant. The only thing was it was cold in the restaurant. I think the air was on and it was already cold and rainy. Thank you for sharing! We appreciate your feedback and patronage. Please come see us again at Johnny’s Italian Steakhouse. A beautiful new restaurant with a large diverse menu and acceptable service. Our waitress worked hard but had a table of about twelve people who were seated shortly after we ordered and that made it tough for her to give us much attention. We both had veal meals and they were delicious. I would recommend this restaurant. We were celebrating our anniversary and both agreed it was a good choice. We are so glad to hear the feedback. Thank you for sharing. We appreciate you. Please come see us again soon. This is awesome feedback for our team at Johnny’s Italian Steakhouse. We love to hear it. Thank you for sharing. Please come see us again soon. This was a nice surprise for our first visit here! The beautiful dining room offered a romantic setting and a private, quiet booth. The service was amazing! No unnecessary interruptions, professional, friendly and fast. The food was wonderful! We will be back. This is exciting to read. Thank you for sharing! We hope to have the opportunity to serve you again soon. Good experience overall. Four of us dined there on a Saturday night. Reservation is for 8:45 PM We had four steak dinners and two of them seemed a little overdone. We asked for a medium and they were a little bit past that. We ate them Anyway. Overall the experience was fine. We will go back I’m sure. Our waitress knew nothing about the menu and messed up numerous items. My husbands steak was way under cooked and our bill was still $100 for the two of us. Pretty bummed. Server was amazing! Great recommendations. Thank you for sharing. We appreciate you and your feedback. We hope to see you again soon. This was probably the best steaks my husband and I have ever eaten. Food was outstanding and server was very good. Very pleasant and courteous. Wish there were more Johnnys restaurants in Ohio. We live in Springfield OH so this location was an hour and a half from us. Thanks again for a great meal! Service was a bit slow, and the food was not quite what you would expect. For a $140+ meal, most likely will not be inclined to return. Nothing about the evening makes me in a hurry to return. Short staffed on a Saturday night which was explained by the hostess. Still took over 20 minutes to get a drink order taken after telling hostess twice that no one had looked at us. Finally manager stepped in. Food was average when we finally go it. Excellent first experience wish this restaurant was in our home town! Made a reservation for a Saturday evening for a birthday. We were seated right away and our waitress came over immediately and took our drink order. She was attentive throughout the meal. We ordered steaks and they were cooked to our specifications. We ordered the mushroom appetizer. It was delicious. The bread arrived as she gave us our drinks and the food was all hot and served within a timely manner. My dining partner had a birthday and the restaurant gave us a complimentary dessert to take home. We will be dining there again. We were reluctant at first considering this eatery is in a hotel, but we were pleasantly surprised. Our server tracy was fantastic. She was prompt and accommodating. The food was delicious. While our steaks were wonderful, the atmosphere is not. Was a excellent experience ,food was superb,highly recommend Johnny’s!!! I thought it was great! The staff was amazing and friendly. The location is nice because it is close to our home so we really had to go down the street. It was peaceful and we enjoyed our family time. We would go back again. Worst service I’ve ever had, all the way around the service was poor. The hostess, the bartender and our server . The hostess and our server were AMAZING! We had a private area which was really nice. Everything was so nice. It was the Saturday after Valentine's Day and the restaurant was very busy. They still did an exemplary job with the food and service. Both our dinners were excellent and Steve is the perfect server. Name fits perfectly...50% steakhouse, 50% Italian food. Nice variety of food choices. Everything was wonderful!! Best prime rib I have ever had. A new favorite restaurant for our family. hard to find because it is in Holiday Inn but really enjoyed it. Enjoyed this restaurant. We were not staying at the hotel and was looking for something different. We were very pleased with level of service, quality of food, and with the overall ease of getting into the restaurant. We will go back. Our food was fabulous. Our server was incredible. We tried some new wines which we liked so much that our server got the bartender to write down the names for us. A wide menu that you can't go wrong with. I highly recommend Johnny's! Great little place, especially for a hotel. Friendly, attentive staff and competent, if not spectacular cuisine. Fairly extensive and pleasing menu. Good wine list and reasonable prices. We will be back. First time that we have gone to Johnny's Italian Steakhouse. We got the Valentine's Day special for 2, which was an appetizer to share, salad, entrée, dessert to share and a bottle of champagne. Pretty good deal for $99. Food was very good, looking forward to going back to try another cut of steak. Food was well prepared, taste very good, reasonable priced. Service excellent. The booth very amble and comfortable. I will return. My wife and I both had a steak and we both commented they were one of the better steaks we had eaten in a long time. Will return when a steak strikes our fancy again!